Executives at Google parent Alphabet Inc. (NASDAQ: GOOG) decided to put Boston Dynamics for sale after they reached the conclusion that the company that they acquired three years ago, was not likely to produce a marketable product in the next few years. Google bought the robot-maker company in late 2013, as part of an attempt to grow in the robotic business with a spree of acquisitions in the field. The deals were led by Andy Rubin, former Chief of the Android division, who brought over 300 robotic engineers into Google, according to Bloomberg. Spot, the hydraulic-articulated four-legged robot developed by Boston Dynamics. After Rubin left the company in October 2014, the robot initiative, dubbed Replicant, was plagued by leadership changes, failures to collaborate between engineers and an unsuccessful effort to recruit a new leader. Among the fact that they failed to develop money-making products, Boston Dynamics executives were reluctant to work with Google’s other robots engineers in California and Tokyo, said a person familiar with the group to Bloomberg. Written minutes of a November 11 meeting and several subsequent emails were inadvertently published in an online forum that was accessible to other Google workers outside the Replicant group. Tensions between Boston Dynamics and the rest of the engineers were demonstrated in the documents. 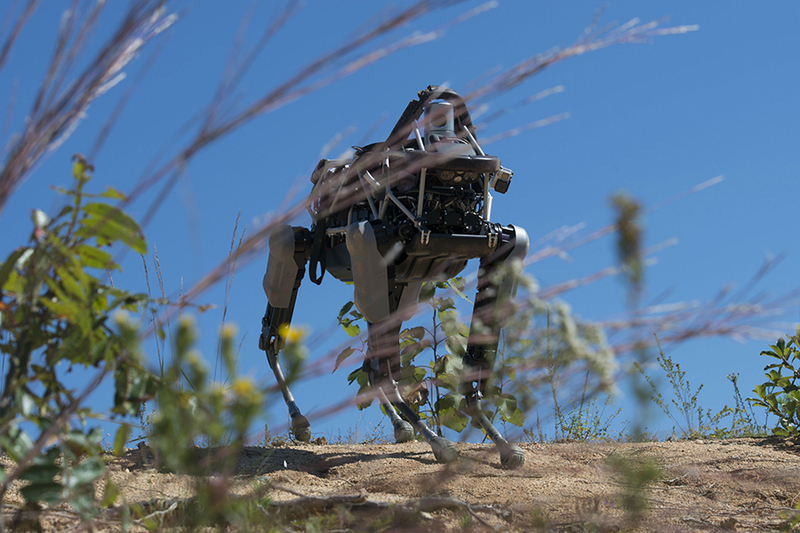 In the minutes of the meeting, Aaron Edsinger, director of robotics at Google in San Francisco, said that he had been trying to work with Boston Dynamics to create a low-cost quadruped robot and felt “a bit of a brick wall” around the division. “I firmly believe the only way to get to a product is through the work we are doing in Boston. I do not think we are the pie in the sky guys as much as everyone thinks we are,” said Marc Raibert, a former Massachusetts Institute of Technology professor and the founder of Boston Dynamics, also in the meeting. Google announced in December that Replicant had been folded into Google’s advanced research group, Google X. Boston Dynamic was never folded into Google X, and was instead put for sale. In a private meeting, Astro Teller, the head of Google X, told Replicant that if robotics are not the practical solution to problems that Google was trying to solve, they would be reassigned to work on other things, according to a person who was at the meeting. After a video went viral on the web from the latest advances in humanoid robots from Boston Dynamic, Google’s PR team was not thrilled with the association that the advances implied. There is excitement from the tech press, but some negative threads about it being terrifying, ready to take humans’ jobs, were also around, wrote Courtney Hohne, a director of communications at Google and the spokeswoman for Google X. To “distance X from this video” was asked by Hohne to her colleagues. She added that they do not want to trigger a whole separate media cycle about where Boston Dynamics is at Google. Boston Dynamic has some possible acquires in their area, which includes Toyota Research Institute, a division of Toyota Motor Corp, and Amazon, which makes robots for its fulfillment centers. Both companies declined to comment about any possible purchase.